Big Lunt 152 should be used at its extremes.. right? So today i tried Televue 5X barlow (zoom) lens with this scope! It was not one of the best days for imaging because thin clouds were all over the sky. 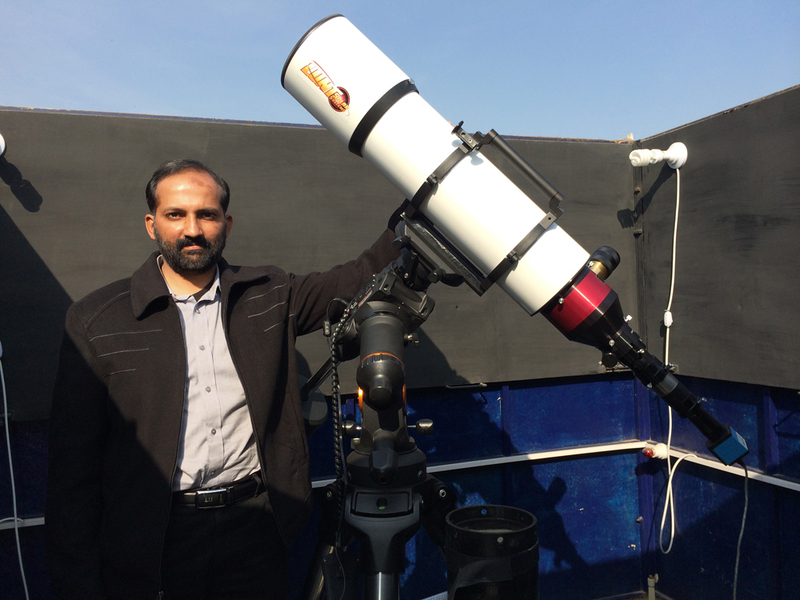 But before we proceed, here is me and the big scope in my observatory. Okay so here is a quick view of the largest prominence happening on the sun these days.. again taken with Lunt152. This is actually a combination of two images.. i really had to do a lot to combine the two images.. This is one image in color.